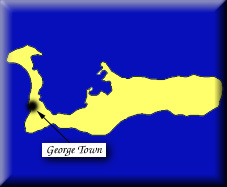 The Cayman Islands chain comprise of Grand Cayman, Little Cayman and Cayman Brac. They were first seen by Columbus in 1503, who named them Tortugas from the turtles with which the surrounding sea abounds, but they were not occupied by the Spanish. The islands came to the attention of the English after their attack and seizure of the nearby island of Jamaica in 1655. It appears that the first attempted settlers on the island, around 1661, had been Cromwell's soldiers during the seizure of Jamaica. Indeed, England took formal control of the Cayman Islands, along with Jamaica, from the Spanish as a result of the Treaty of Madrid of 1670. They were administered from Jamaica although a long term settler colony did not succeed in establishing itself on the islands until the 1730s when the Governor of Jamaica formally set aside Royal Lands for settlement. These early settlers imported slaves to clear lands for plantation and to produce sugar. Slavery remained in place as an institution until 1833. However, the long term decline in the price of sugar meant that the remainder of that period was difficult for the small holders who remained on the islands. The islands continued to be governed as part of the Colony of Jamaica until 1962, when they became a separate Crown colony while Jamaica achieved independence. 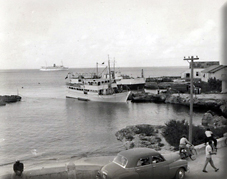 The first natural history survey of all three Cayman islands.